The Atom 16 from Raleigh offers the perfect entry into the world of mountain biking. Featuring a modern design, the Atom 16 not only looks great but it’s also packed with safety features to ensure your little one stays protected. The Atom 16 boasts a lightweight Aluminium frame and high-rise handlebars, allowing a more upright riding position giving little riders increased visibility. The Atom 16 also comes with stabilisers, which are an essential for your child's first bike, providing them with confidence during their first cycling adventures and allowing them to learn balance and coordination safely. To ensure maximum safety the bike comes with a front and rear brake that are easily operated by little fingers and fitted with an adjustment screw to fit to smaller hands. 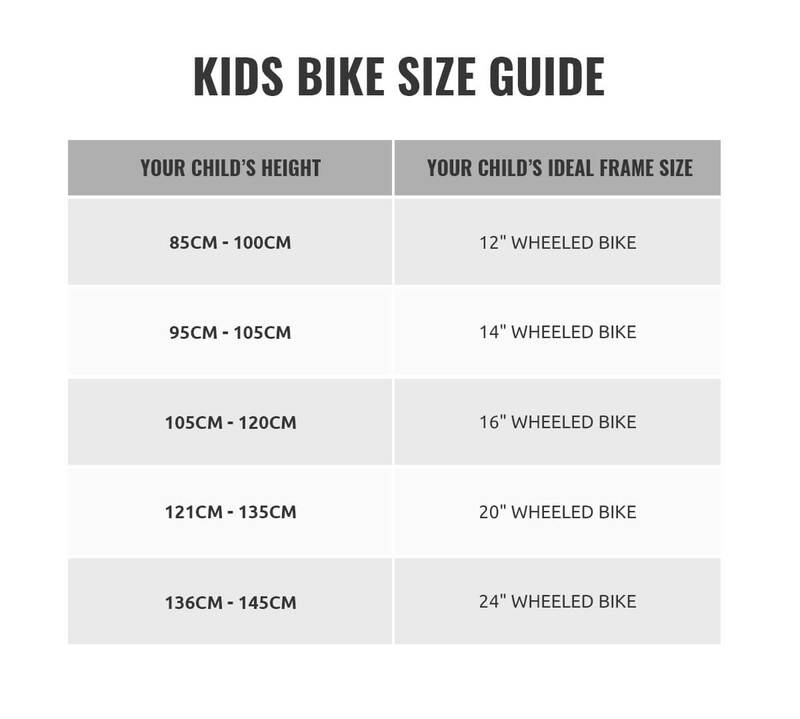 As they have done for the last few years on all kids bikes Raleigh have also included junior non-slip pedals that are fitted with rubber pads to prevent feet slipping off. Each pair of non-slip pedals is carefully colour matched to fit the bike design. The Atom 16 has a full chain guard which is colour co-ordinated with graphics to match the bike design and is a functional necessity. Not only does it stop the dirt getting on your child and their clothes, but it also keeps the sharp edges of the chain wheel covered and away from little fingers. It also has a rear coloured mudguard as standard to help prevent any road spray. The bike is finished with colour coordinated saddle, grips, cables, tyres and handlebar pad for a complete look.